Condividiamo con tutti voi questa bellissima testimonianza ricevuta dal nostro distributore in Estonia - Rakutoit. We are very pleased to share with all of you this new testimonial recevied from our Estonian dsitributor - Rakutoit. I have been using Cellfood know for 7 months and i have had a lot of good changes. 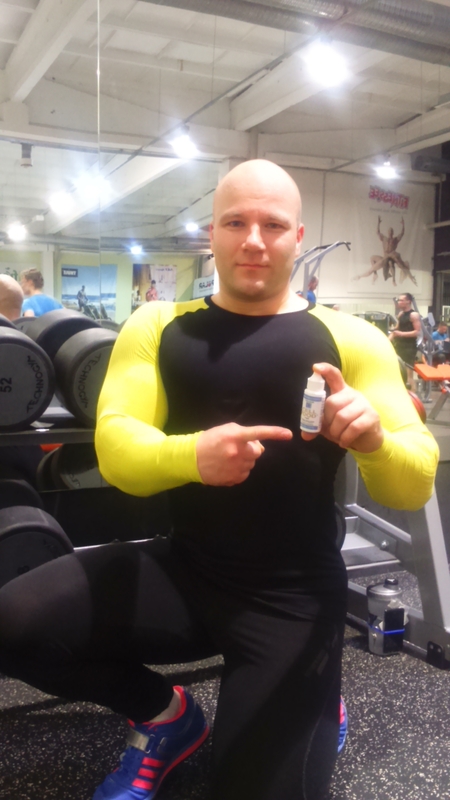 Cellfood has given me well being, i can concentrate and study after long day of work and hard training. I´m bodybuilder and for me was big problem recovery in training.. In my trainings i did not progress, more like i had to train with same weights. I increased Cellfood drops, and made a changes in how i take cellfood. I´m using 2X8 drops and 2X16 drops in day. 16 drops in morning, 8 drops in lunch time, 16 drops in trainings and 8 drops before i go to sleep. In this system i have increased weights in all of weight exercises 10-20 kilos. And i have made my personal 4 records, in different weight trainings. Amazing is that i have not been ill in all this 7 months, and i have not have had any more headaches in this time. I will be taking Cellfood all the time, and will recommend it to everybody because Cellfood provides well being, faster recovery and helps me focus and gives me good health.